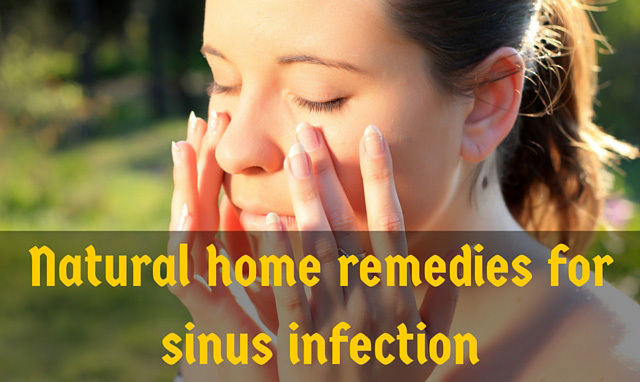 How to get rid of a sinus infection with home remedies! The bones on our face have a layer of membranes covering them which are responsible for the production of mucus. The function of the mucus is twofold. Firstly, it keeps the air we breathe warm and moist. Secondly, it helps in filtering out germs present in the nasal cavity. Mucus is drained and produced naturally. When it is unable to get drained in a proper fashion, it leads to congestion which in turn causes a sinus infection. Sinus infections can be caused by something as simple as excessive consumption of dairy products to something serious as fungal growth. Some of the causes are listed below. Usually in the case of sinus infections, people opt for a course of antibiotics to get rid of the discomfort. This is fine but there are so many downsides to using antibiotics. First of all, antibiotics destroy the valuable bacteria living in our body. Many bacteria present in our body are helpful. Since antibiotics do not differentiate between good and bad bacteria, the good ones are destroyed as well leading to complications in the future. Regular use of antibiotics tends to make the (bad) bacteria more and more resistant to their effects. At the same time, our immune system is terribly weakened because of the same reason. Moreover, medicines rarely address the root of the problem. Most of them only remove the pain and the symptoms. That is why it is best to use natural remedies for sinus infection. There are various natural ways to treat sinus infections. All of these use naturally occurring items and are absolutely harmless. They can be called home remedies for sinus infections as they require items used in our day-to-day life. You need to control your diet for a few days in order to get the maximum benefit out of these natural remedies for sinus infection. Foods which increase the production of mucus like eggs, dairy products, fried food items, flour products, and processed food items amongst others should be avoided. Your intake should have a good amount of whole grains, soups, vegetables cooked lightly and beans. Also avoid anything cold (like ice cream, chilled juices, ice cold carbonated drinks, or frozen foods). These kind of foods will only make the sinus symptoms worse. Rather, always consume warm stuff. Horseradish is a very powerful natural remedy for sinusitis. Crush a little horseradish and mix it with lemon juice. Eating the mixture will cure you of nasal blockages. Remember to use only a tiny amount of horseradish. The strong flavor of the horseradish is enough to clear the nasal passages of excess mucus and clear them of blockages. This wonderful product helps in clearing nasal blockages and prevents them from occurring as well. The best way to use this is by mixing it with water. 1 to 2 tablespoons of the Apple Cider Vinegar should be mixed with 6 to 8 ounces of water. 1 tablespoon of honey can be added to this solution for the purposes of sweetening it. This should ideally be had three daily for up to five days to get the maximum benefit. Mix a teaspoon of salt in warm water. Two cups should suffice. Pour the solution into a neti pot. Now stand over a sink with the pot. Make sure that the temperature of the water in the pot is not too warm. Now place the snout of the pot into a nostril. Allow the water to flow out through the other nostril by tilting your head. Do not tilt in the wrong direction or else you may find the water going down your throat. Redo with the other nostril. 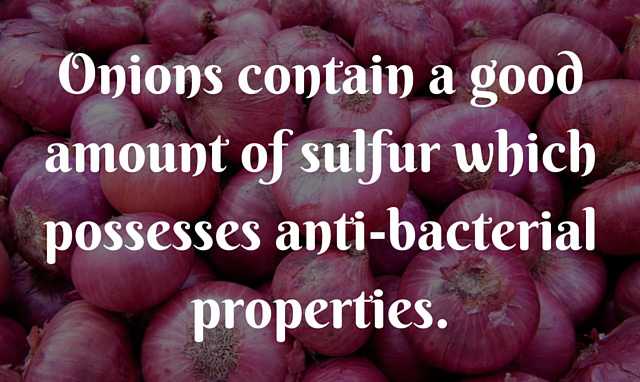 Onions contain a good amount of sulfur which possesses anti-bacterial properties. The easiest way to use onions against nasal infections is simply by inhaling the strong scent of a freshly cut onion. That may however cause the eyes to sting and tear up. Another way is by cutting the onion into small pieces and boiling them in water. Inhaling the scent from the water is quite effective. You may even drink the water if you can after removing the onion pieces. Probiotics are the complete antithesis of antibiotics. Unlike antibiotics which kill bacteria, probiotics helps bacteria to flourish. Probiotics helps the growth of only those bacteria which help our body. These bacteria increase the body’s capacity to fight against infections and improve the overall health of the person concerned. The extract obtained from the seeds of the grapefruit is a powerful and naturally occurring antibiotic. The extract has antibacterial and antifungal properties which make it a very effective weapon against sinus infections. Grapefruit seed extract has been used to destroy parasites, microbes, viruses and of course bacteria and fungi. GSE can be purchased in the form of pills or nasal sprays. However, GSE should only be used with the doctor’s advice as the extract can be cause allergic reactions in some people. Here’s how to get rid of a sinus infection! Sinus infections are not to be taken lightly as they cause massive problems for those suffering from it. There are many natural remedies for sinus infection which I have listed here. What do you think is an effective natural way to combat sinusitis that works for you? How much apple cidar vinegar solution to be consumed for a day? When mixing, do you have to drink the whole solution @ once or 3 times a day? Pls let me know. Tnx.